July 7-Nov 18, Chance & Control: Art in the age of computers, Victoria & Albert Museum, London. June 13 - 27 August 2018. Coder le Monde (Coding the World), Centre Pompidou, Paris. Manchester Illuminated Universal Turing Machine, #1, pen & ink plotter drawing, 22" by 30", 1998. On loan from the Victoria & Albert Museum, London. Nov 10, 2017 - Jan 15, 2018, Seeing Math, Flaten Art Museum, St. Olaf College, 1520 St Olaf Dr, Northfield, MN 55057. opening reception Nov 10, 5:00 to 7:30 PM. October 20 to December 3, 2017. 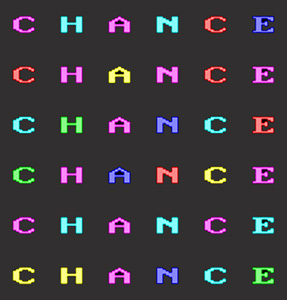 Jun 14, 2014, all night, "The Magic Hand of Chance", a nostalgic display of real time form-generation programmed with a first generation IBM PC in 1982. 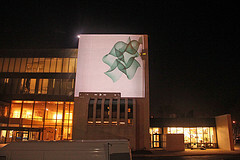 All night large scale projection, North Wall, Minneapolis College Art & Design, Stevens Ave. South at 25th St. This "Magic Hand" is one of many works featured in Northern Spark's annual "dusk to dawn" art festival. Friday June 13, 2014, Eyeo Festival, Walker Art Center, Minneapolis, MN, USA. Verostko presents "Algorithmic Leverage: from art idea in mind to art idea in machine" outlining how his pre-algorist art ideas shaped his approach to structuring algorithms for art-form generators. Download the catalogue. 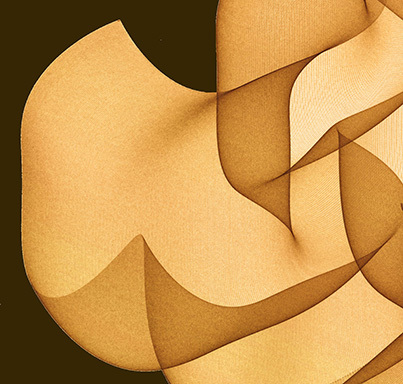 Dr. Grant Taylor's years of research provides insight into the profound impact of the algorithmic revolution as manifested in the work of four pioneer American Algorists. 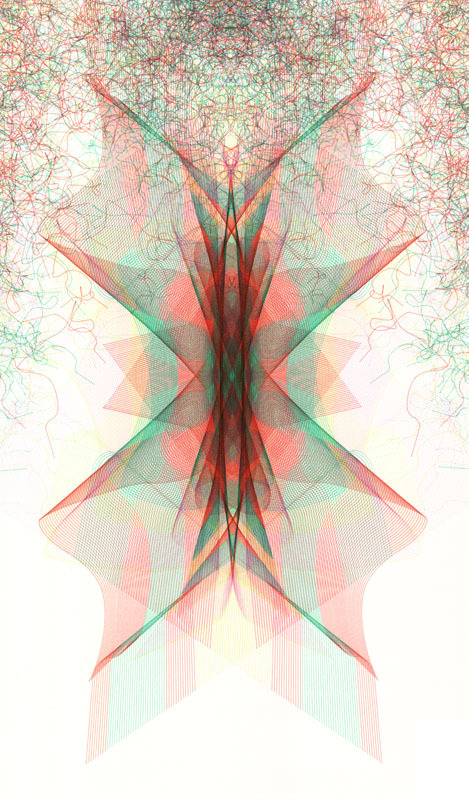 August 30 - October 20, 2013, The American Algorists: Linear Sublime. The Suzanne H. Arnold Art Gallery, Lebanon Valley College, Annville, Pa.
Monday, September 9, Zimmerman Recital Hall, 5 p.m. Roman Verostko, will present a lecture in conjunction with the exhibition. July 10, 2013, Wednesday, 2:00 PM, National Taiwan University, Taipei, Informal Session, Graduate Institute of Networking and Multimedia. July 4th, 2013,Thursday, 16:40 PM, Tokyo Zokei University. Illustrated presentation: "Processing Art: From hand to machine: 1947 to 2013". 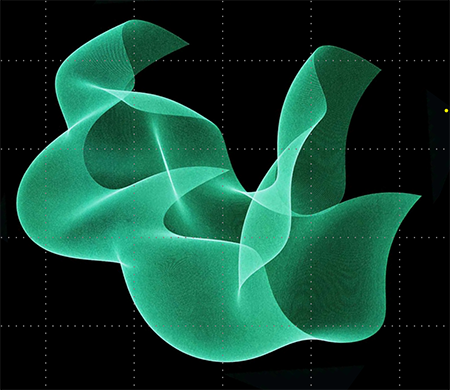 Mon 19th Nov, 2012, 6.30pm, Phoenix, Leicester, UK: Algorithmic Dimension: A Digital Arts Masterclass with Ernest Edmonds, Manfred Mohr, Frieder Nake and Roman Verostko. Gaia Series September 10, 2012 - March 9, 2013, "Stemperando 2012", Fifth Biennial Invitational sponsored by Istituto Nazionale d'Arte Contemporanea (I.N.A.C. ): Turin, National Central Library, Sept.10, Oct 12, 2012; Cosenza National Library, Oct 19 2012 - Jan 20, 2013; Rome, National Central Library, Jan 24 - March 9, 2013. Original was mounted on Verostko's web site in 1994: www.verostko.com/u.html. March 18-20, 2012. Bowling Green University, Ohio. Visiting artist and Lecturer. February 22, 2012. Pratt Institute, Wednesday, 12:45 PM, 536 Myrtle Avenue, Room 4E-3, Brooklyn Campus. 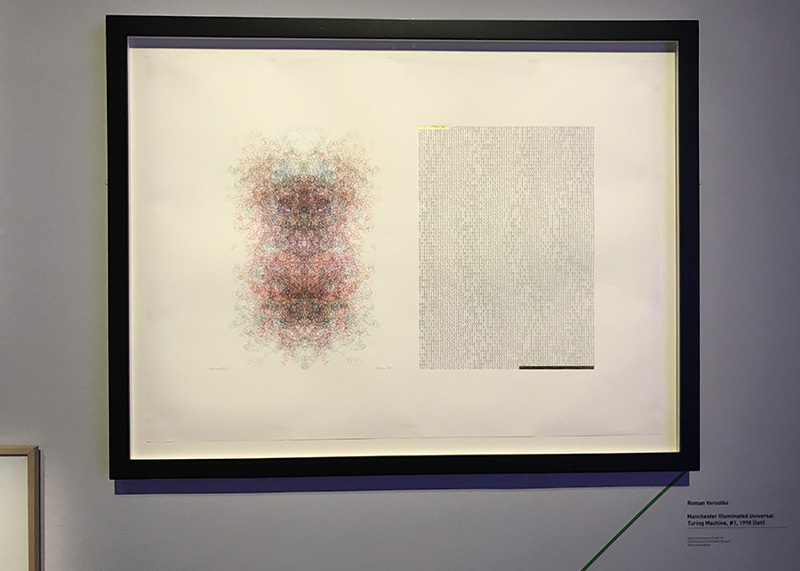 Three large screen presentations include the "Three Story Drawing Machine" and selected algorithmic drawings including his plotter driven brush strokes. Roman is 1 of 5 digital pioneers featured in this series. 15 September, 2011 - 10:45 - 11:45, Keynote Speaker, ISEA 2011, Istanbul. Location: Sabancı Center, Istanbul, Turkey. 4-5 June, 8:55 sunset to 5:28 sunrise, 2011. "THREE STORY DRAWING MACHINE". A video of Verostko's drawing machine, as it draws line for line is shown on a 3 story white brick wall. The drawing begins at dusk and draws continuously for over 8 hours finishing at dawn. 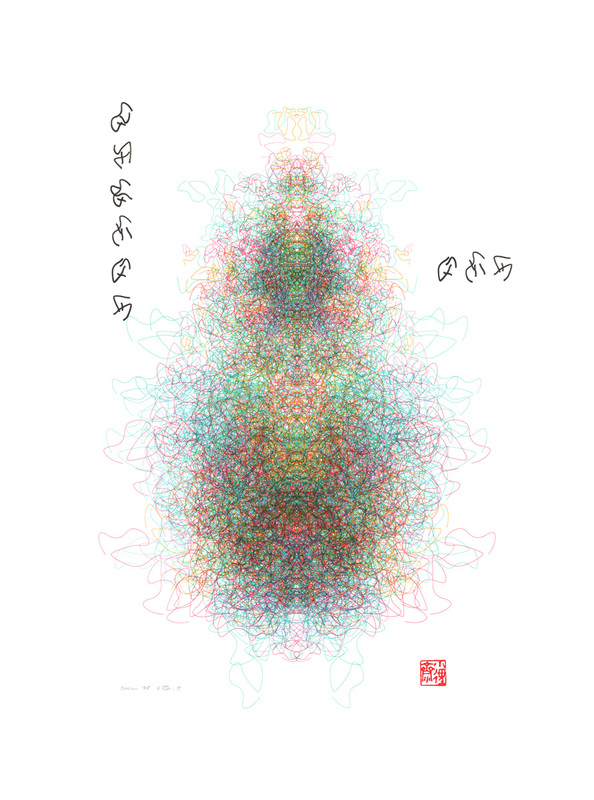 A pen & ink drawing on paper, drawn with the same code, will be displayed all night inside the entrance of the building. Site: North Wall, Minneapolis College Art & Design (2501 Stevens Ave S, Minneapolis, MN, USA). Hand-Held and Machine-Held", Roman Verostko, Informatik-Kolloquium, Universität, Cartesium:Rotunde, Enrique-Schmidt-Str. 8. 8 November - 24 November. Universität Bremen, Artist in Residence with Frieder Nake: http://viola.informatik.uni-bremen.de/typo/ , CompArt Data base: compArt. Friday, November 5, 19:00 Opening reception with the artist. Saturday Afternoon, November 6, "the Joy of Digital", dialogue between Frieder Nake & Roman Verostko, in the gallery. 4 February, 2010, Decoding the Digital, Victoria & Albert Museum, London. Roman presents "Sixty years: from brush in hand to brush in machine" in the morning session. This symposium focusing on digital art pioneers & critics complements the current display of original pioneer work. Hochhauser Auditorium, Sackler Centre 10.00-17.30. August 2, The Fred Rogers Center for early learning and children's media. Dedication of WIM:The Upsidedown Mural and release of WIM: The Upsidedown Mural. February 22-March 30, Concourse Gallery, Minneapolis College of Art & Design, Evolutions: MCAD in the 1960's and 1970's. 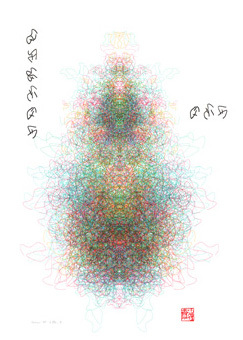 Exhibition includes 1970 drawings from Verostko's "Imaging the Unseen" series. Visiting artists of that period with work in this show include Roberto Matta, Pol Bury, Pietro Consagra and Jackie Ferrara. February 16, 2008, 9:30 AM to 4:30 PM, Roman Verostko, 1 of several artist participants, presents "Writing the score for drawing" in a symposium addressing the unfolding of algorithmic procedure in the arts: Patterns, Pixels, and Process: Discussing the History of the Computer Print, the Mary and Leigh Block Museum of Art, Northwestern University. January 18-April 6, 2008, Imaging by Numbers: A Historical View of the Computer Print, Mary and Leigh Block Museum of Art, Northwestern University. The survey will include two examples from the George Boole edition and a drawing from the Rocktown Scrolls series. August 5 to 9, 2007, SIGGRAPH Art Gallery, San Diego Convention Center. Roman will show a giclée print formatted from the original "Flowers of Learning" mural that was permanently installed in October, 2006 in the Academic Learning Center at Spalding University, Louisville Kentucky. The scale version, to be shown at SIGGRAPH presents the 7 cyberflowers in a single field. 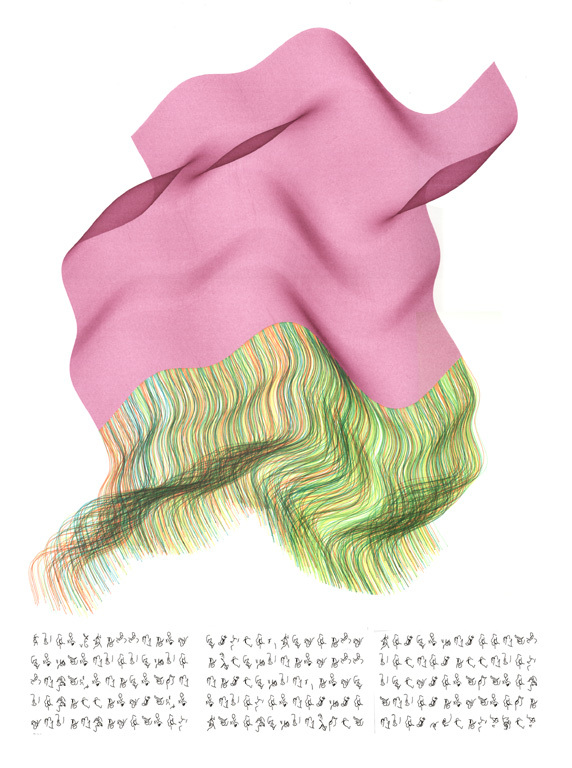 April 13th, 2007, 5:00-7:00, Grand Opening of the Nina Bliese Gallery, 225 South 6th St., Minneapolis, MN, featuring Algorithmic Drawings by Roman Verostko. Closing reception, 5:00-7:00, May 25. View of the DMP52 plotter and display of Roman's art works at the opening of the Laboral Center for the Arts & Technology (March 30, 2007). 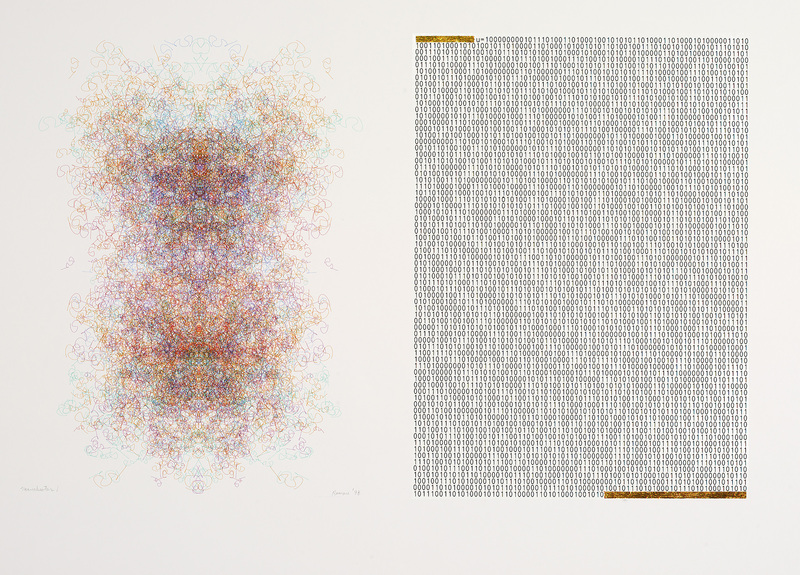 April 13-May 25, 2007, Roman Verostko's Algorithmic Drawings. Nina Bliese Gallery, 225 South Sixth Street, Minneapolis, MN, USA. 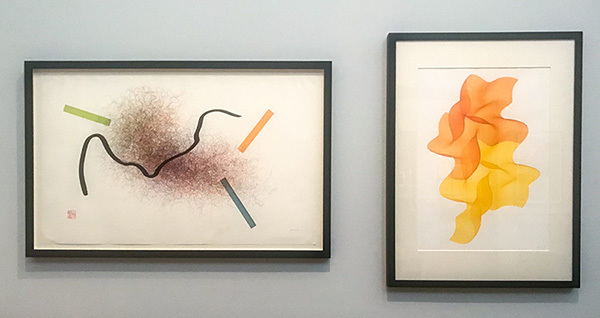 The Grand opening of this new gallery featured a limited edition of the Flowers of Learning with selections from 20 years of Verostko's algorist period. March 16 -May 19, 2007. Digital Art Museum, Tucholskystr. 37, Berlin, Germany. The Algorists: Jean-Pierre Hébert (France), Roman Verostko (USA), Mark Wilson (USA), Manfred Mohr (GER-USA), Hans Dehlinger (GER). Exhibition Opening: March 15, 7-9 pm. Roman's work will include recent drawings from his Rocktown Scroll series. November 3 - December 17. Museum of Art, Tama University of Art & Design, Toyo, Japan, "20th Century Computer Art: Beginnings and Developments". An invitational exhibition of artists who have employed coded programming procedures in creating their art. The core organizing committee for this exhibition was formed by Professor Hiroshi Kawano, director of the Institute for Computer Culture that studies the role of programming language in the creation of art and theory. 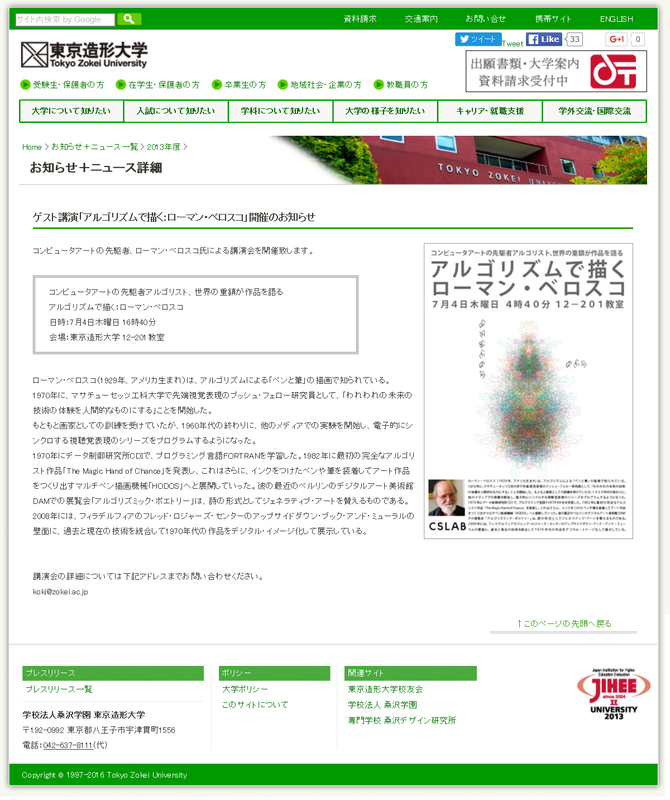 The organizing committee included members of the KSS (Kawano Study Society) and Professors and Researchers from Tama Art University and Musashino Art University. October 27, 5:00 to 6:30. Dedication of the permanent installation of Roman Verostko's "Flowers of Learning: Hortus Conclusus Nazarenus". The Academic Center, South 3rd Street, Spalding University, Louisville, Kentucky. Project presentation file. Flowers of Learning:Hortus Conclusus Nazarenus. Installation model. Click here for project presentation file (PDF format). July 30 - August 3, 2006 SIGGRAPH Art Gallery, Boston, Massachusetts. Roman will be showing "Black Elk Speaks", a new work from his Rocktown Scrolls Series. June 23 – July 21, 2006 MCAD Faculty at the Minnetonka Center for the Arts. Minnetonka Center for the Arts, 2240 North Shore Drive, Wayzata, MN 55391. Opening reception: 6:00 to 8:00. Roman will show two new works from the Rocktown Scrolls Series. March 13 to June 30, 2006 THE ALGORISTS: Four Visual Artists in the Land of Newton. Verostko, Horwitz, Hébert, Dehlinger. 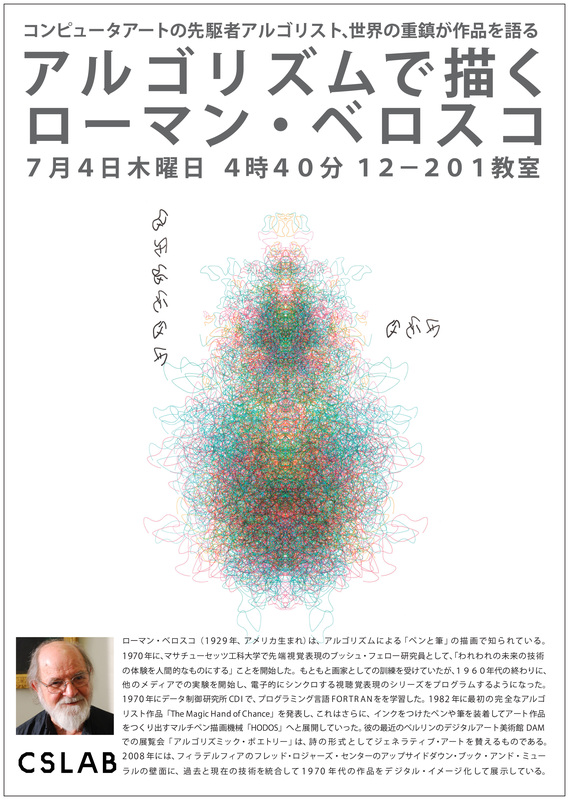 ART, IMAGE AND SCIENCE: An initiative at the Kavli Institute for Theoretical Physics, University of California, Santa Barbara. Show open to public March 13 to June 30, 2006 • Monday through Friday • 10 AM to 4 PM. Click here for hyperlink to the catalogue. February 4 - April 2, 2006, Form und Raum, Computerkunst Actuel, Museen der Stadt Lüdenscheid Städtische Galerie, Lüdenscheid, Germany. International exhibition of 45 works by 25 artists from 9 countries. August 2-5, 2005, SIGGRAPH Art Gallery, Los Angeles Convention Center. Images include: Roman, Alice and Hans Dehlinger. October 31 2004 - October 2005, Algorithmic Revolution: The history of interactive art. ZKM:Medienmuseum at the Zentrum für Kunst und Medientechnologie. 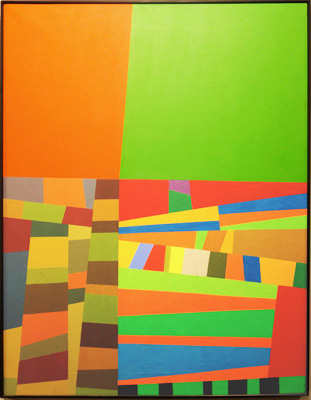 2004 October 26 - December 12, 2004, Contemporary Art & the Mathematica Instinct, University Art Museums, Marsh Art Gallery University of Richmond, Virginia. October 24, 2004. Lecture. Art and Heritage Place Museum, Monastery of St. Benedict's, St. Joseph, MN. Art and Spirituality. Reflections the Mid 20th Century Ars Sacré Renewal, an illustrated slide lecture addressing issues in art and spirituality - then and now. 2004, August 9-12, SIGGRAPH ART Gallery, Los Angeles, CA. Opening reception, November 4, 2003. November 2003, STATE OF THE ART: Maps, Stories, Games and Algorithms from Minnesota. Carlton Art Gallery, Northfield Minnesota, More on the exhibition and exhibitors, Opening reception, November 5, 2003. 2003 September 6-11, Code: the language of our time, Ars Electronica Center, Linz, Austria. Roman exhibited coded brush & pen work dating from 1987 . 2003 July 27 - 31, SIGGRAPH Art Gallery, San Diego, California. 2003 April 8 to May 4. ARTWARE2, digital art exhibition curated by Umberto Roncoroni. 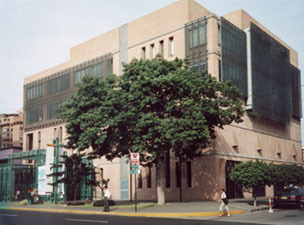 PUCP Cultural Center, S. Isidro, El Ojo Ajeno Galería, Lima, Perú. Roman will show selections representing 5 periods in the development of his work. 2003 At Recklinghausen ( Museum for Light and Life , "Umsapannwerk" ), Germany, in 2003. Dates to be announced. 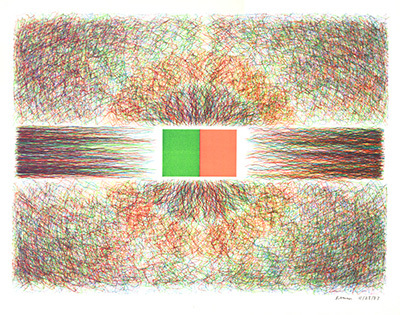 Works from Computerkunst 2002. September 1 - 29, 2002. Computerkunst/Computer Art 2002 (9th International) at the Museum der Stadt Gladbeck (Jahnstrasse 31 / Museumsplatz). Opening at 11:00 AM, Sunday September 1, 2002. Roman will show a recent Cyberflower Duet, Red & Green.